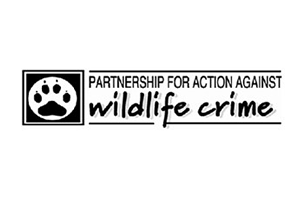 ‘On 20th February I will be taking up post as Head of the National Wildlife Crime Unit (NWCU). I am looking forward to the challenges this will bring. Before giving my background I think it is only right to pay tribute to the contribution that my predecessor Brian Stuart has made over the past few years. He and I started our secondments at roughly the same time and we have built a close professional and personal relationship. The advantage I had was a background in the subject. Brian learnt from scratch and in his time in charge of the unit he has helped it to evolve, making a significant contribution in the fight against wildlife crime in Scotland, across the UK and internationally. I could give many examples of where Brian has made a difference – but for me his greatest contribution has been to ensure action is taken and not just words. Brian said to me when he started in his role that he wanted to make a difference that his wife and children could be proud of. His galvanising the INTERPOL Wildlife Crime Group, a global group to get on and do something rather than talking about, resulted in Operation TRAM to address illegal trade in traditional medicines and Operation RAMP to address illegal trade in reptiles and amphibians. Outcomes from these have been significant and show what can be achieved. His wife and children surely should be proud of what he has achieved and I wish him well in his new role. I clearly have a lot to live up to. I bring to the role 28 years experience as an operational police officer. I was one of the original Police Wildlife Liaison Officers when they were first established in the early 1990’s. I have dealt with wildlife crime issues like many of my policing colleagues often using my own time to get jobs done. I have worked in urban and rural areas across Devon and Cornwall dealing with almost every type of investigation. Throughout this time I have built close working relationships with people from a host of agencies. For the past three and a half years I have been seconded into Animal Health and Veterinary Laboratories Agency (AHVLA) and worked with a fantastic team in Bristol and wider with our Wildlife Inspectors dealing with Convention on International Trade in Endangered Species (CITES) and bird registration cases. Again this has involved close partnership with the NWCU, the UK Border Agency (UKBA), Police forces across the UK and with our partner agencies. I am committed to ensuring the NWCU continues its development with all of you across Scotland and I am sensitive to the need for us to support the fight against crime involving native species. I have investigated poaching cases of all types and with fantastic salmon rivers and the biggest herd of red deer on my doorstep I am acutely aware of the need to ensure effective enforcement of legislation relating to them. I have seen the impact indiscriminate poisoning of birds of prey on rogue estates can have and I live within a mile of the best Freshwater Pearl Mussel site in Southern England. I have investigated cases relating to disturbance of marine mammals and Basking Sharks off the South-West coast and proposed the formation of the PAW Marine Wildlife Enforcement Working Group. This group helped in the production of the Scottish Marine Mammal Code of Conduct. These are just some of the things I have been involved with and care about.